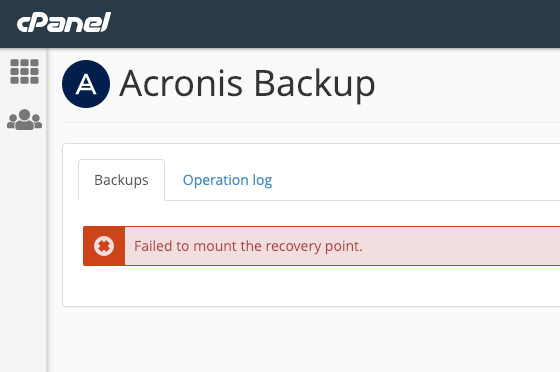 cPanel Plugin "Failed to mount the recovery point." 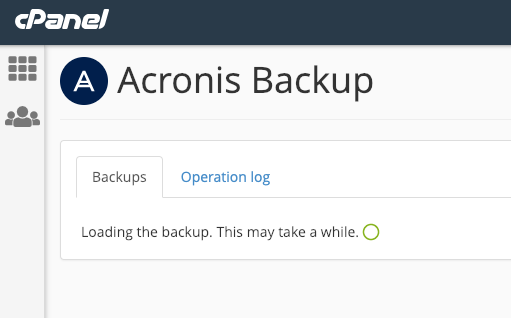 When I'm trying to restore files or databases through the Acronis cPanel plugin, I get the following error after selecting the date/time of the recovery point. Failed to mount the recovery point. This error comes up after 5 minutes of "Loading the backup. This may take a while." 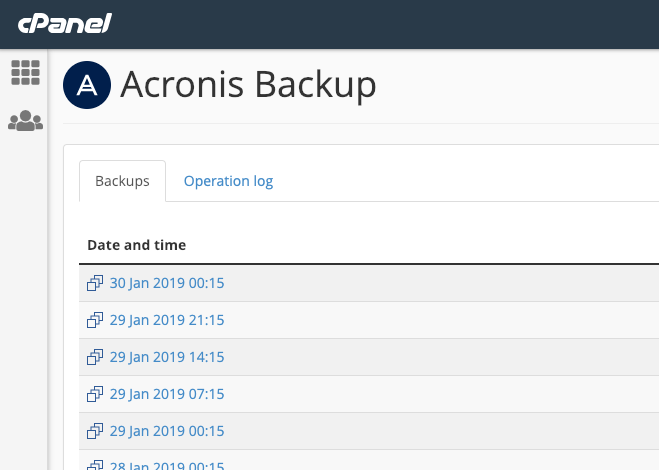 While I can restore individual files/folders from the Acronis Backup Cloud web interface, the same doesn't apply for databases for example, which can only be restored from the cPanel plugin interface. I see the issue has been already forwarded to the RnD for investigation. We'd appreciate if you could share the results of the investigation with the community. We're experiencing the same problem here. Have you had any update from Acronis, George? Do you also use exclude files from your backups via Backup Options -> File Filters?